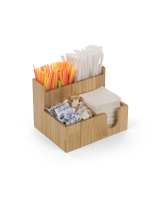 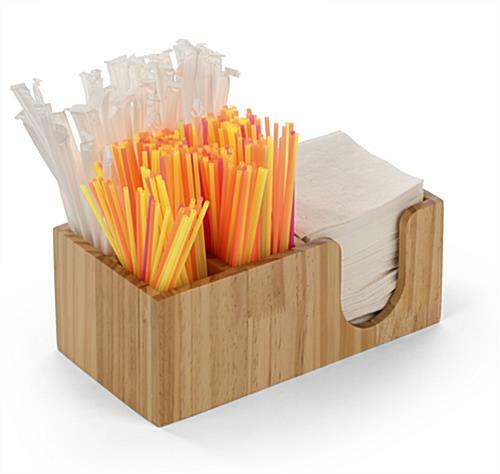 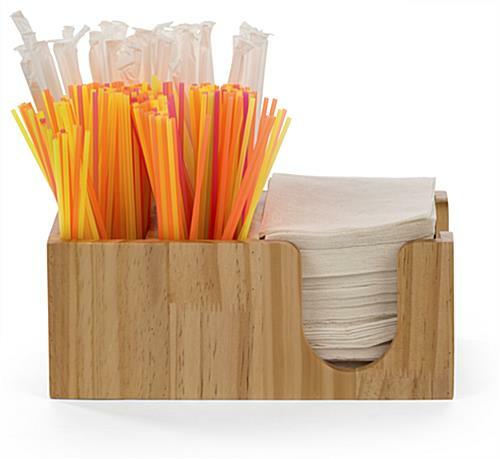 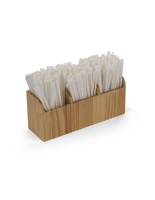 This bar caddy accessory organizer is a stylish napkin holder with four additional compartments for straws and stirrers that keeps your coffee station neat and presentable. 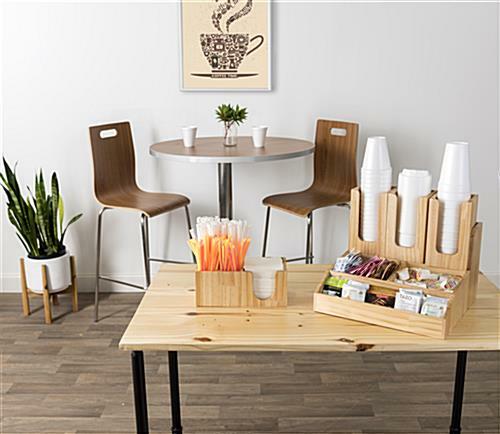 The design is both efficient and compact, helping save limited counter space. 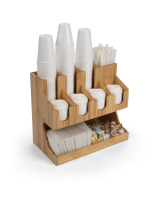 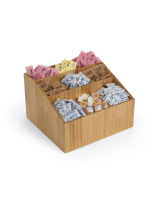 This pine wood bar caddy accessory organizer lends a more natural-looking feel to coffee shops and restaurants in comparison to standard metal or plastic models. 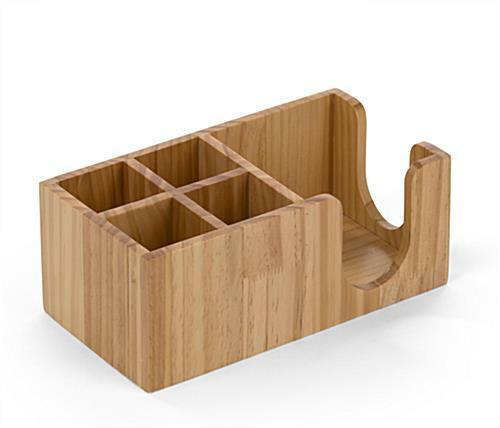 The napkin holder pocket features a side cutout for easy dispensing. 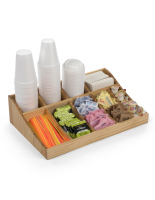 When supplies run low, the open-top design makes restocking as quick as can be. 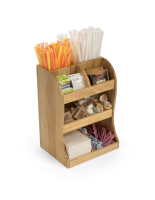 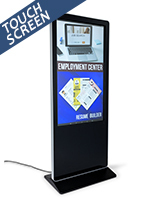 This bar accessory organizer will keep your self-serve drink station tidy and provide convenient access to supplies for your customers. 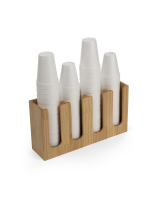 10.6" x 4.3" x 5.6"
4.9" x 3.9" x 7.9"
2.3" x 3.9" x 2.3"